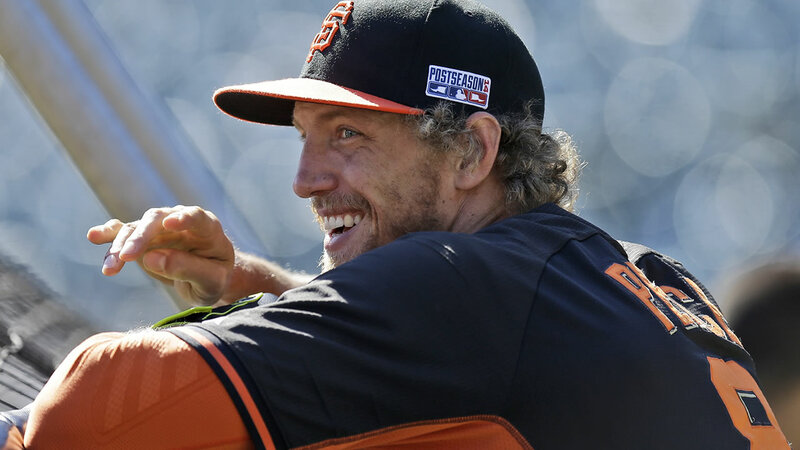 SAN FRANCISCO, CA -- Former Houston Astros player and current San Francisco Giants star Hunter Pence is engaged, and it was all caught on camera! Video posted to YouTube by Disney Parks shows the right fielder as he dropped to one knee and proposed to his very surprised girlfriend, Alexis Cozombolidis. "On this trip my best memory I think is right now cause Alexis, I've loved you from the second that I laid eyes on you," he said after kneeling. "You have made me such a better man. You're my best friend, you're my soul mate. When we started, I didn't understand the way a relationship really worked, will you take my hand?" As he started to open the ring box, fireworks exploded in the background over Walt Disney World. After the proposal an excited Alexis said, "There's no way I'd ever say no, ever." On Thursday, Hunter also tweeted a photo of the two at dinner as she showed off her ring and another with more photos in which he said, "So excited to be marrying my best friend!"